Micronutrients are essential elements required by organisms in small quantities throughout life to orchestrate a range of physiological functions to maintain health. 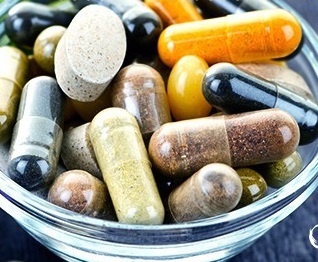 Micronutrient requirements differ between organisms; for example, humans and other animals require numerous vitamins and dietary minerals, whereas plants require specific minerals. For human nutrition, micronutrient requirements are in amounts generally less than 100 milligrams per day, whereas macronutrients are required in gram quantities daily. The minerals for humans and other animals include 13 elements that originate from Earth's soil and are not synthesized by living organisms, such as calcium and iron. Micronutrient requirements for animals also include vitamins, which are organic compounds required in microgram or milligram amounts. Since plants are the primary origin of nutrients for humans and animals, some micronutrients may be in low levels and deficiencies can occur when dietary intake is insufficient, as occurs in malnutrition, implying the need for initiatives to deter inadequate micronutrient supply in plant foods. At the 1990 World Summit for Children, the gathered nations identified deficiencies in two microminerals and one micronutrient – iodine, iron, and vitamin A – as being particularly common and posing public health risks in developing countries. The Summit set goals for elimination of these deficiencies. The Ottawa-based Micronutrient Initiative was formed in response to this challenge with the mission to undertake research and fund and implement micronutrient programming. As programming around these micronutrients grew, new research in the 1990s led to the implementation of folate and zinc supplementation programmes as well. Priority programs include supplementation with vitamin A for children 6–59 months, zinc supplementation as a treatment for diarrhoeal disease, iron and folate supplementation for women of child-bearing age, salt iodization, staple food fortification, multiple micronutrient powders, biofortification of crops and behaviour-centred nutrition education.